A fresh sprig of rosemary serves as a fun stirrer to cocktails in mason jars. The signature cocktail at this party is bourbon with homemade lemonade, with a hint of honey and ginger. 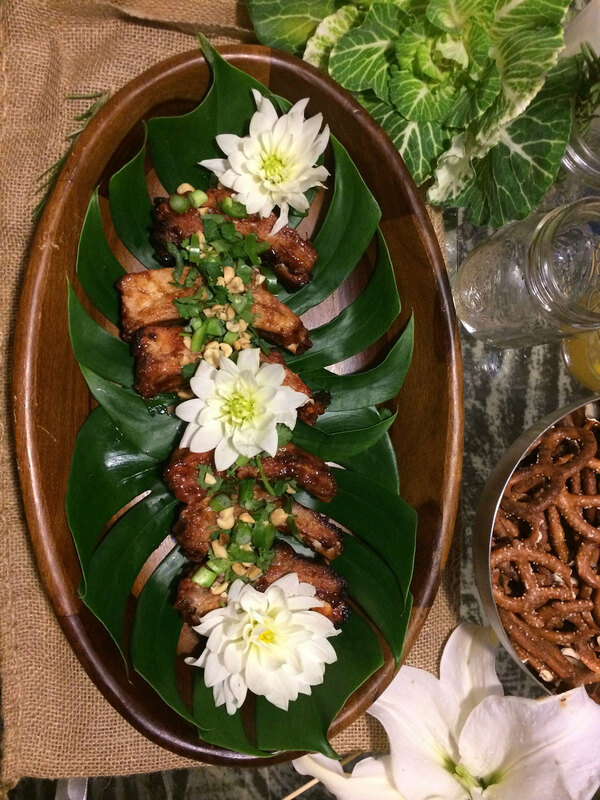 The substantive boho chic canapés included, Steak Sliders, Asian infused Ribs, Smoked Salmon with wasabi crème fraîche on Flatbread, as well as garlic & lemon soaked Grilled Shrimp.